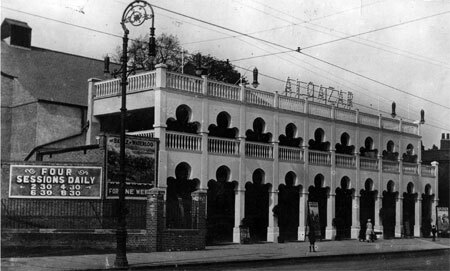 The Alcazar Cinematograph Theatre opened on 28th June 1913 with “The Battle of Waterloo”. It was part of an entertainment complex which included an enclosed Winter Gardens, which had a palm court and provision for dancing, and an outdoor Summer Gardens as well as a roller skating rink and a tea room. Demand for seats at the opening was so great, that the 1,700 seat Alcazar Cinematograph Theatre was filled to capacity and seating had to be placed in the Winter Gardens to take the overflow. The building was designed like a Moorish palace, with a covered verandah stretching 140 feet along the façade at first floor level. The auditorium ran parallel to Fore Street, with the main entrance at the northern end, and an entrance at the southern end for the cheap seats beside the screen. Inside the auditorium seating was provided in stalls and circle levels. The Alcazar Picture Theatre was closed when it was hit by German bombs in the early hours of the morning of 23rd August 1940, which destroyed the dance hall and one wall of the cinema, causing the roof of the auditorium to cave in. Further damage was done by a V1 flying rocket which landed nearby in October 1944. 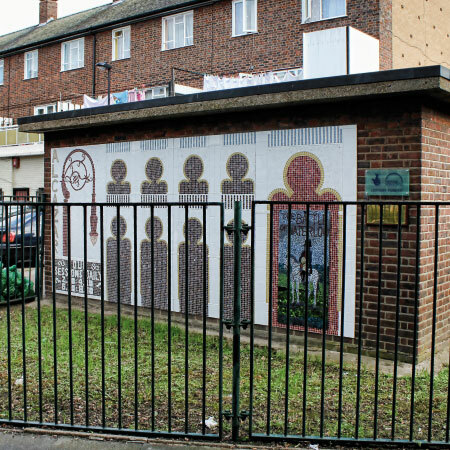 The remains were demolished and the site stood derelict until the 1960s, when the local council built a small parade of shops with flats above, and houses at the rear on the site of the Summer Garden. Art Start exists to give all members of the community access to high quality arts activities. Using money raised through the National Lottery, the Heritage Lottery Fund gives grants to sustain and transform our heritage.